VideoMeld portable is an all new multitrack digital audio and video editing program. 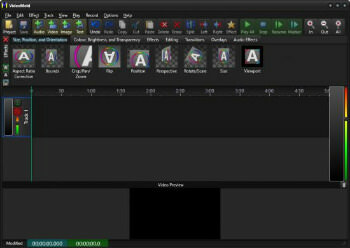 VideoMeld has one of the most advanced effects editors in its class. Many effects can be applied at the same time, creating incredible variety. Effect settings can be varied precisely over time for detailed animated visuals.